The position of Power Forward is crucial to any successful basketball team, and this week we look at the skills a player would need to play in that position. Tim Duncan is one of the most fundamentally sound Power Forwards to ever play the game, and has been a vital part of the San Antonio Spurs teams that have won 5 NBA Championships while he has been with them. Duncan has also won NBA's Finals Most Valuable Player 3 times, again emphasising how crucial the role is to a successful team. A good Power Forward like Duncan needs to have a number of key skills to play the position well. These include being great rebounders, having good footwork and post moves, and they must also be excellent defenders. 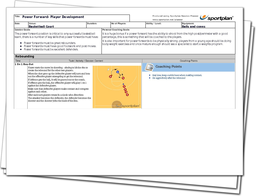 The following session covers all of these skills to help a player become a great Power Forward. The following session contains twelve great drills that will quickly help players work on the skills required to become a great Power Forward like Tim Duncan. Starting with rebounding, we improve players' ability to react quicker and jump higher when getting to a rebound before moving on to post moves, with four great drills, including ones your players can do at home to improve even more. 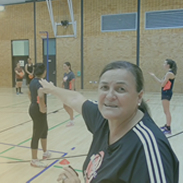 The final key skill of a Power Forward is then covered as we work on defence before finishing with some fun shooting.